Incorporating the traditional heavy elastic fabric with a superior strong stretch, the Dependaplast Traditional Fabric Assorted Plasters (Pack of 20) also offer an additional thin, cushioned pad to provide protection to wounds so that they can heal naturally and avoid contamination. 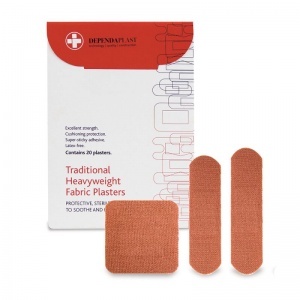 All of the Heavyweight Fabric Plasters have a soft rayon wound contact pad in the centre of the adhesive strip, providing superior protection to cuts and scrapes. Simple and quick to apply, these plasters provide a robust barrier to prevent injuries from being exposed to the elements. 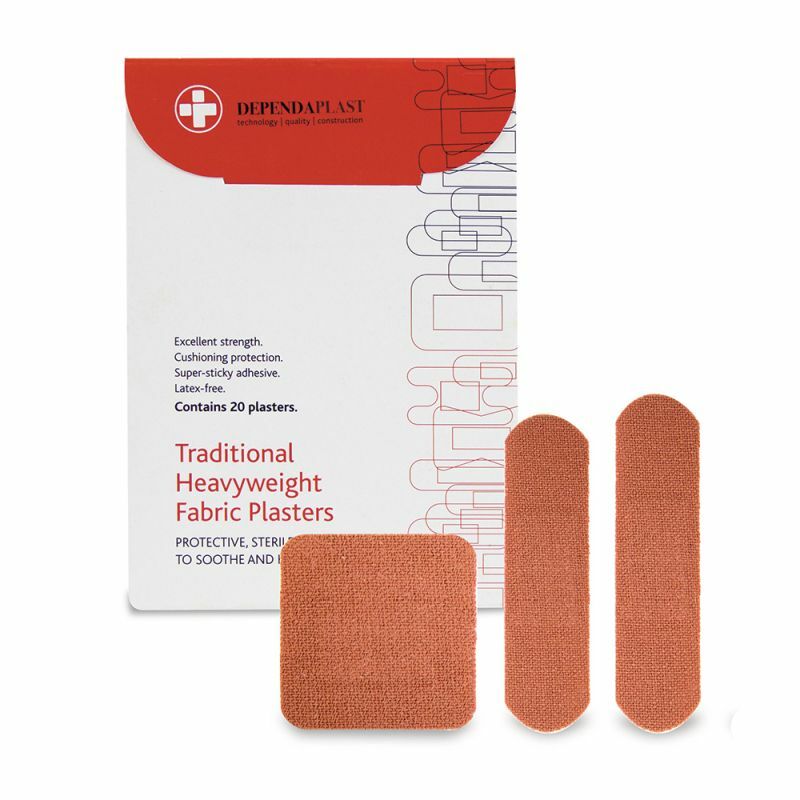 The Dependaplast Traditional Fabric Assorted Plasters (Pack of 20) are usually dispatched via First Class Royal Mail and delivery should be within 1 to 3 working days.